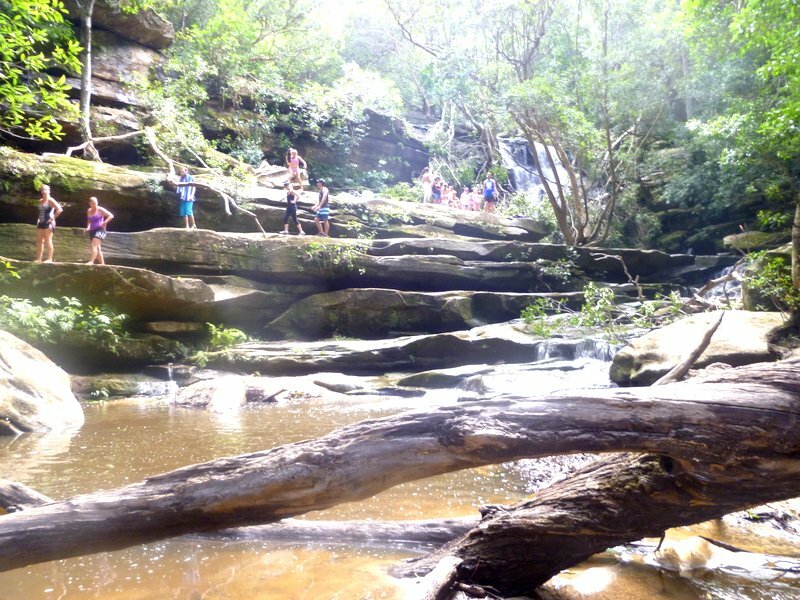 Ickle and Mivvy have never seen a waterfall before, so last weekend we headed on a family adventure to Somersby Falls. 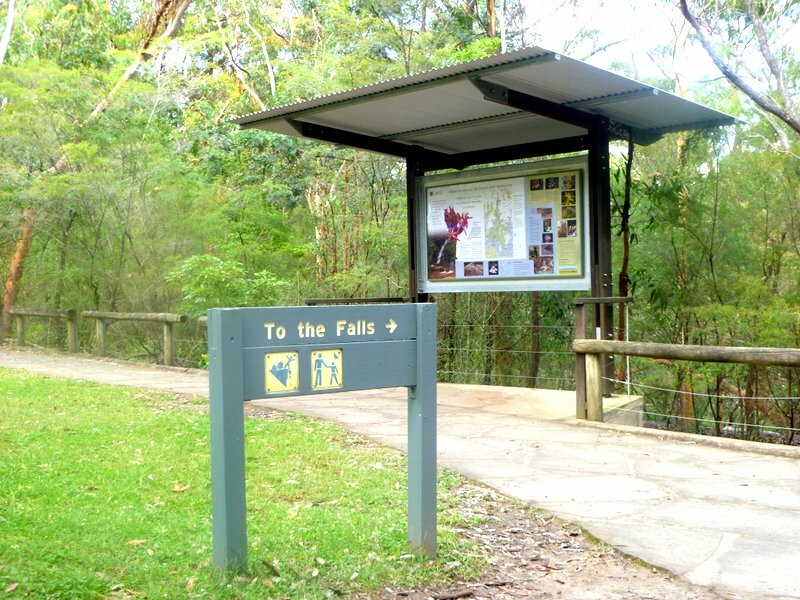 Located close to Gosford just off the Pacific Motorway, the falls are a fair drive from our lakeside home. But oh so worth it. Don’t be put off by the route in – Somersby Falls Road was not the beautiful stretch of paradise I had imagined. Nope, I suggest you close your eyes to the industrial ugliness – unless you’re driving, of course! – and then open them once you reach the National Park. 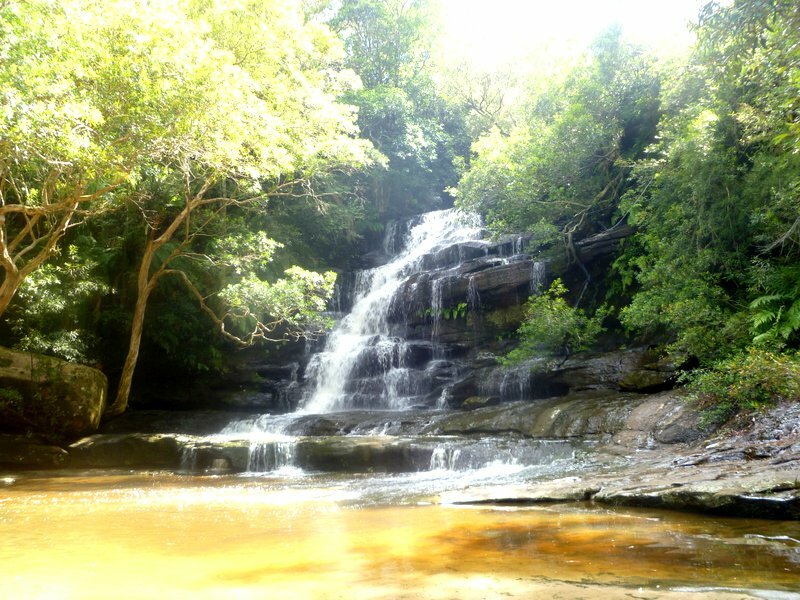 Here, the rainforest is dense and cool and a steep track takes you through the trees to the upper falls. We got there early, before the masses with their cameras, kids, and bottles of beer. And before the bearded man who decided to immerse himself in the waterfall, fully clothed. Hence this snap of ‘untouched’ beauty. With heavy rain the week before our visit, an impressive volume of water was cascading down the rock face into the pool below. Ickle partially stripped off to paddle in the water with her daddy, at which point Mivvy wanted a slice of the action, too. Splish, splosh! The descent to the lower falls was a bit of a scramble – muddy and slippy in places. Broad stone ledges span the water course providing an attractive viewing platform or place to rest and picnic. We elected to boulder-hop to a little patch of beach further down where the girls had a play and a sand-covered snack. The climb back to the car park is not for the faint-hearted. I’ll admit to being a little out of puff by the time we emerged from the rainforest. But I was carrying an extra 10 kilos in the form of my youngest daughter. Note: The car park (fee-paying) was full by the time we left at around 11 am, with cars lining both sides of the road outside the main parking area. Mind you, we had chosen to visit on a Sunday during the busy summer holidays. 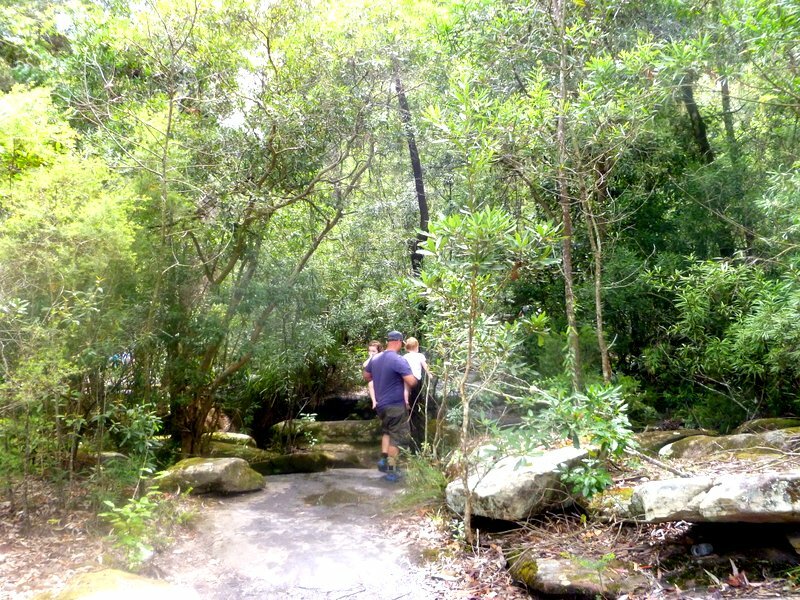 This entry was posted in Close to home and tagged Gosford, rainforest, Somersby Falls, waterfalls on January 15, 2016 by Laura.